The Cougar Chronicle is officially taking requests for songs and birthday shout-outs for the morning announcements. 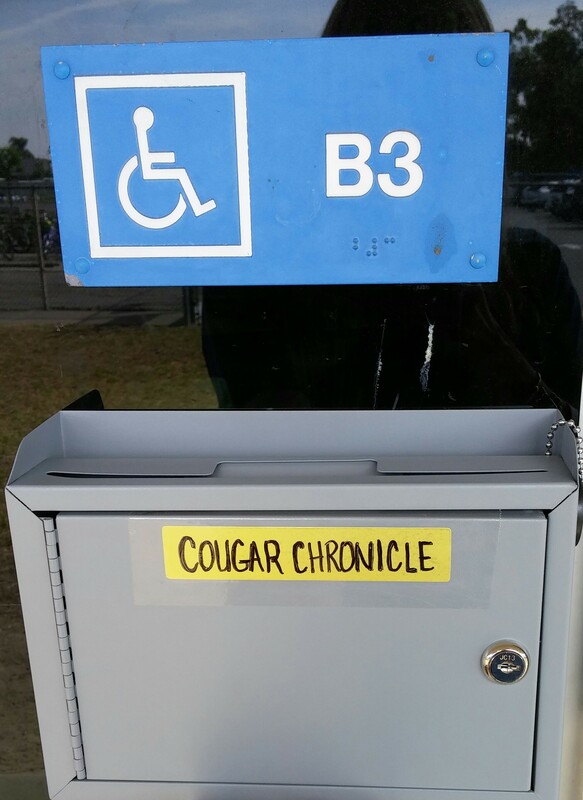 The drop box outside of B-3 (coming soon) is the new station where you will fill out your forms and deposit your cougar cash. Along with songs and birthdays, they will also be taking orders for club advertisements and requests for advice that will be answered by the Cougar Chronicle staff. There will be slips of paper that you fill out and put into the tamper-proof dropbox. Just remember, when you are asking for advice, use a pseudonym, a made-up name. Density– What does it matter?